August 23, 2018: Country’s leading car maker Maruti Suzuki India Limited has upgraded the S-Cross crossover with list of new elements. The car maker had launched the facelift version of crossover in October 2017. The list of new features offered in facelift S-Cross includes, seat belt reminder, speed alert system and rear parking sensors. All these features are offered as standard features across all the trims. 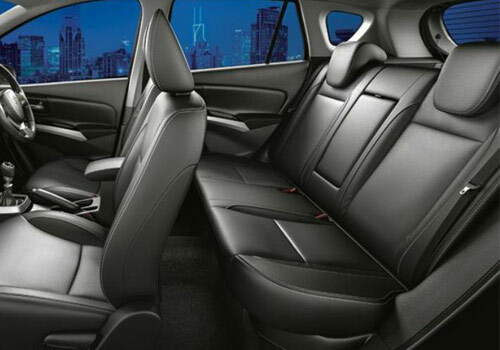 Apart from this the Delta trim is equipped with few additional features. Mechanically, the crossover continues to be offered with existing engine of 1.3 litre, 4 cylinder engine with mild hybrid technology from its parent company. August 12, 2016: Japanese auto giant Suzuki has showcased the petrol version of India bound S-Cross (AT) during the ongoing GIIAS 2016. The version of SX4 aka S-Cross showcased during the show was empowered with with conventional M15A 1.5 litre four cylinder petrol engine that generates the power of 107.24 hp @ 6,000 rpm and torque of 138Nm @4,400 rpm and will be offered option of five speed manual and six speed automatic gear transmission. May 20, 2016: It is reported that MSIL has organised a campaign to rectify the issue of defective brake part on 20427 units of S-Cross manufactured between April 20, 2015 and February 12, 2016. According to sources of company this free campaign is not a recall but the vehicles with this defect will be checked and if necessary the defective part will be replaced free of cost to the buyers. During the campaign both variants of S-Cross will undergo the inspection. 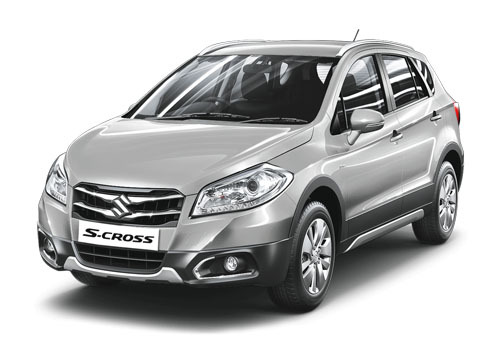 March 21, 2016: According to reports with an objective to compensate the buyers of S-Cross cross over who bought the vehicle at the time of its launch, MSIL is going to compensate them with some interesting offers. The first ever cross over by country’s leading car maker failed to lure buyers within few months of its launch after receiving an over whelming response at the time of its launch. Due to which the car maker had to reduce the price of cross over upto 1 lakh in the beginning and then upto Rs. 3 lakh by dealers in Delhi. March 14, 2016: It is reported that after showcasing the limited edition of S-Cross during Indian Auto Expo 2016, MSIL has launched the same in Indian car market with starting price of Rs. 9.55 lakh (ex-showroom price, New Delhi). The Limited Edition has been launched in Zeta DDis200 version and undergoes various cosmetic changes on exteriors and interiors of the cross over. It is speculated that launch of Limited Edition will help company in improvising the sales of S-Cross which after kept on declining after enjoying huge success for couple of months after launch. January 19, 2016: According to recent reports leading car manufacturer MSIL has declined the prices of its entire range offered in S-Cross cross over upto Rs. 2 lakh. Prior to this the Indo-Japanese car maker had declined the price of same for two times upto Rs 1lakh and Rs. 5 lakh to impress the buyers towards it. Launched in diesel variant with two engine options of 1.3 litre and 1.6 litre DDiS the Cross-Over received an overwhelming response from Indian car buyers but later on due to its high cost it started losing its charm among the Indian car enthusiasts. January 8, 2016: According to reports Maruti Suzuki India Limited has offered huge discount up-to Rs. 5 lakh on its recently launched cross over S-Cross DDiS 320 enriched with 1.6 litre and mated with six speed manual gear transmission system. Launched almost four months back in August 2015 the cross over although received an encouraging response from Indian buyers but received critics from experts due to its high cost. October 16, 2015: According to recent reports Maruti Suzuki S-Cross from premium car maker MSIL has succeed in taking huge lead against its strong contenders Renault Duster, Nissan Terrano and Ford EcoSport in terms of sales since its launch in August this year. The cross over however did not get over its one more contender Hyundai Creta in terms of sale and stood at second position as far as sales of crossover is concerned. The cross over is available with two engine options of 200 DDiS 1.3 litre diesel engine boosting the power of 89 bhp and torque of 200 Nm and other one with 320 DDiS 1.6 litre diesel engine tuning the power of 118 bhp and torque of 320 Nm, the cross-over has priced starting from Rs. 8.34 lakh (ex-showroom price) and going high up-to Rs. 13.74 lakh (ex-showroom price). September 30, 2015: After successful launch of S-Cross crossover two months back, country’s leading car maker MSIL has surprisingly offered huge discount up-to Rs. 1,00,000 on purchase of new S-Cross. Well this is not the end of amazing offer on S-Cross with huge discount of Rs. 1,00,000 compnay has also offered exchange bonus of Rs. 30,000 for exchanging any of Maruti’s car to buy new S-Cross. 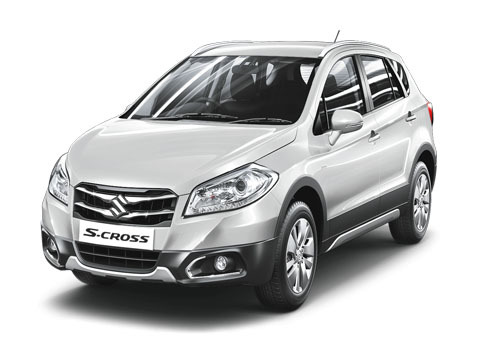 August 7, 2015: According to recent industry reports MSIL is planning to sale 5000 units of S-Cross crossover every month in Indian car market. This was told by Mr. T. Hashimoto, Executive Director and Head of Marketing and Sales during the launch of vehicle in Mumbai on August 6, 2015. As reported earlier car maker had launched the crossover in India two days back on August 5, 2015 with two engine options in diesel variant. August 5, 2015: Maruti Suzuki India Limited today launched it’s ever first cross over S-Cross in Indian car market with starting price of Rs. 8.34 lakh (ex-showroom price, New Delhi) followed by price of top end variant going high up-to Rs. 13.74 lakh. As reported earlier S-Cross has been launched only in diesel variant with two engine options of 1.3 litre DDiS 200 diesel engine and 1.6 litre DDiS 320 diesel engine. The former is offered with five speed manual transmission system while the later with six speed manual transmission system. The specific features offered in Indian version of S-Cross are similar to its European version. The S-Cross will place tough competition against Hyundai Creta, Renault Duster and Nissan Terrano. July 31, 2015: Country’s leading car maker MSIL is all set to launch its ever first Cross-over in Indian car market on August 5, 2015. The bookings of the same are already going on in with company’s dealers across the world. The cross-over would be launched only in diesel variant with two engine options of 200 DDiS 1.3-litre diesel motor and 320 DDiS 1.6-litre diesel engine. It is expected to be offered with price tag starting from Rs. 8 lakh and going high up-to Rs. 11 lakh. It would be sold through Nexa outlets established by company. 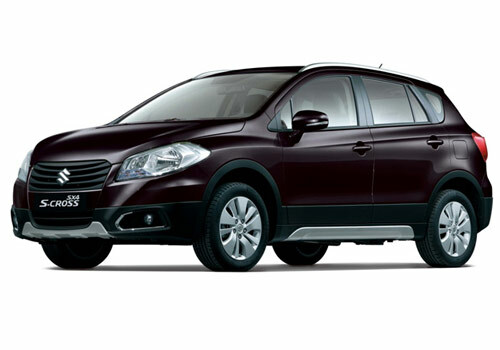 July 24, 2015: According to various reports leaked in cyber world country’s leading car manufacturer MSIL is planning to launch its cross over S-Cross in Indian car market on August 5, 2015. 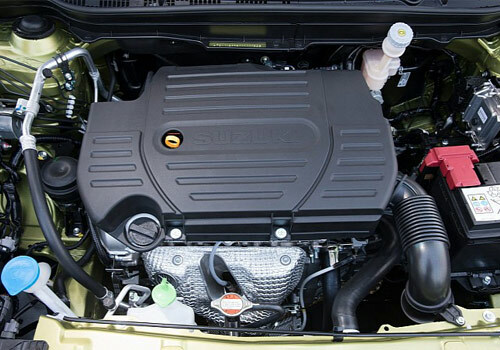 The cross over is reported to be offered only in diesel variant with two engine options of 1.3L Sigma, 1.3L Sigma (O), 1.3L Delta, 1.3L Zeta, 1.3L Alpha, 1.6L Delta, 1.6L Zeta and 1.6L Alpha. These engines would be offered with five speed manual gearbox and six speed gearbox system respectively. It is assumed to be offered with price tag between Rs. 8 lakh to Rs. 11 lakh. 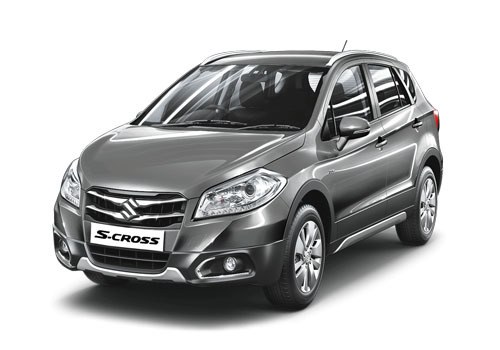 July 8, 2015: Country’s leading car maker Maruti Suzuki India limited has commenced the bookings of its highly speculated and highly awaited crossover S-Cross at the down payment of Rs. 11,000. Expected to be offered only in diesel trim with two engine options of 1.3 litre and 1.6 litre. It is anticipated to offered with price tag varying between Rs. 8 lakh to Rs. 12 lakh. Once launched in Indian car market it will compete against up-coming cross over CRETA from Korean car maker Hyundai, Renault Duster and Ford EcoSport. The first look of this upcoming cross over was revealed during recently concluded IIFA Awards 2015. The front fascia on the exteriors will receive twin plated radiator grille with company logo mounted on it. The headlamps will embellish projector headlamps with LED DRLs mounted on it. The dual tone front bumper receives faux silver guard along with chrome garnish covering fog lamps. The all around body cladding receives silver mark followed by dual colored rear bumper. 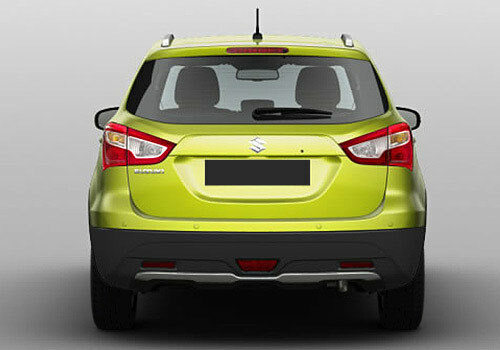 The rear portion will also be developed with hatchback bootlid with non LED tail-lamps. Apart from this LED stop lamp also bestows fog lamps and reflectors mounted on rear bumper. With all these features the exteriors will also carry small silver roof rails followed by small antenna integrated at the rear portion of roof. The outside rear view mirrors further embellish side repeaters. 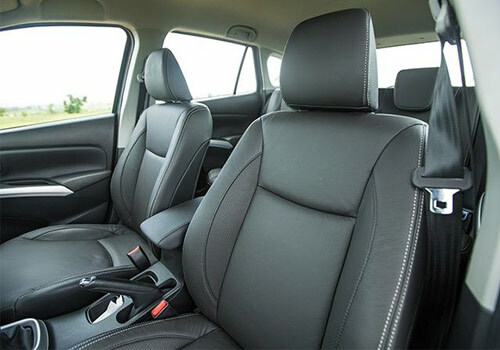 The most impressive feature of S Cross interiors is eye catching black interiors that will give you a feeling of travelling in some luxurious suit at first instance. The multi-functionary steering wheel is almost steering to other offerings of MSIL being sold in country with same function. The spacious cabin has been developed to not only offer comfort seating experience to passengers but also offer them facility to store their various collectives in different storage spaces. Comfort features offered in this Crossover will include SmartPlay touch infotainment system supporting different functionalities including GPS, smartphone integration allowing audio streaming, SMS reading and also voice calling. The steering wheel also offers control over automatic air conditioner. Front and rear arm rests to offer comfort seating to passengers during long travel. Additional features offered inside the interiors include low fuel warning light, electronic trip meter, driver seat belt reminder, external temperature display, digital odometer, digital clock and many more. According to reports in the beginning S Cross would be launched only in diesel variant with two engine opitions of 1.3 litre DDiS and 1.6 litre DDiS engines. The engine option with 1.3 litre DDiS engine will churn the power of 88 bhp and torque of 200 Nm, while another diesel engine boosted with 1.6 litre will generate the power of 118 bhp and torque of 320 Nm. The former engine option would be mated with five speed manual gear transmission system, whereas the later would be mated with six speed manual gear transmission system. Apart from both these engine options it speculated petrol variant of the is also on the cards of car maker which would be empowered with 1.4 litre K14B petrol engine that make the power of 93.5 bhp and torque of 130Nm. The diesel engine energized with 1.6 litre DDiS engine will have efficiency of reaching the top speed of 180 kmph and will hit the mark of 100 kmph from standstill in the span of about 12 seconds. Another diesel engine option of 1.3 litre engine will although attain the top speed of 100 kmph but will reach the mark from 0 to 100 kmph within the period of 14-15 seconds. As S Cross is one of the highly awaited vehicles of the country in today’s date it is speculated that company will not make any stone unturned to make it a huge success. It is therefore anticipated that car maker will decorate the vehicle with some remarkable accessories according to trims offered in it. The top end variant is expected to be blessed with all contemporary features like smartplay infotainment system, that will support connectivity with Bluetooth, voice recognition and also satellite navigation. Moving towards middle and base variants they will support features like CD/MP3 player that will support connectivity with USB and Aux-in. It is also speculated that all trims offered in S Cross will carry steering mounted audio controls as standard feature. 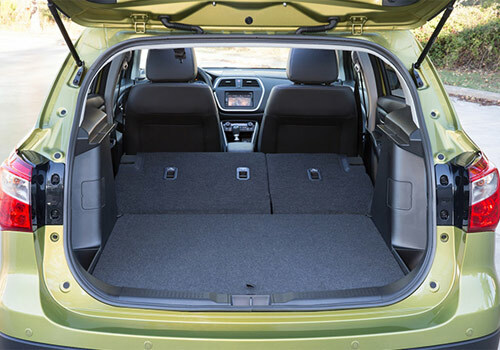 Besides all these company fitted accessories, S Cross will also offer the option of installing additional accessories like scuff plates, portable cooler, DVD entertainment, i-Pad Holder, floor mats and many more. With an objective of offering complete driving and travelling experience to both driver and passengers the S Cross will be bestowed with all necessary safety features including three point seat belts for all occupants, driver seat belt reminder, ABS+EBD, brake assist system. Front airbags, hill assist feature, engine immobilizer, high mount stop lamp0, door ajar warning lamp, rear defogger and various others offering complete safety to everyone sitting inside the crossover. The front wheels will be offered with ventilated disc brake followed by solid disc brake system for rear wheels. Moving ahead ABS+EBD would be offered as standard feature. Apart from this front axle will be offered with McPherson strut suspension system and rear with Torison beam suspension system. With all these safety measure presence of electronic power steering will make it easier for driver to drive his vehicle properly in adverse driving conditions. 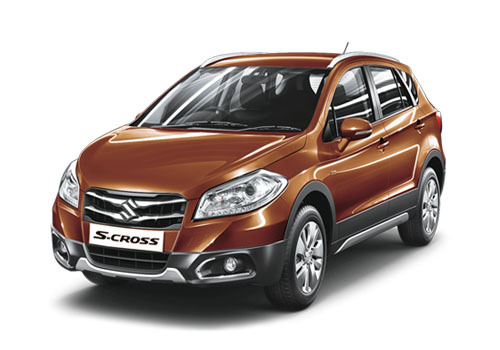 Maruti Suzuki S-Cross is one of the highly awaited vehicles of 2015 in Indian car market. 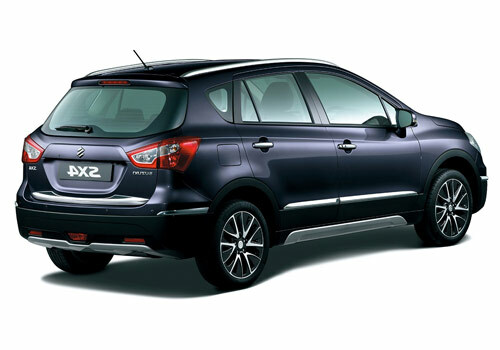 The crossover was for the first time showcased during Indian auto expo 2014, whereas it displayed as SX4 Crossover. But now finally company has named it as S Cross. Under the hood it would be offered only is diesel variant with two engine options of 1.3 litre DDiS200 and 1.6 litre DDiS diesel engines. The former engine would be mated with five speed manual gear transmission system whereas the later would be offered with six speed manual gear transmission system. 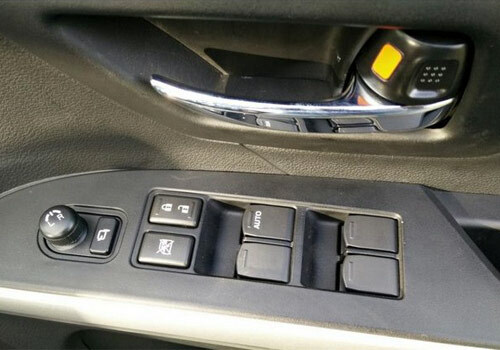 It is also possible that after launch and going through the performance of Crossover car maker may also offer CVT automatic transmission system. Talking about the appearance of Crossover it is expected to carry same look as offered in its European version. The front fascia will receive twin slat chrome radiator grille carrying swept black colored headlamps. The headlight will embellish projector headlamps along with LED DRLs. Moving towards the side profile, it would be interested to learn that of-course the Indian version of Crossover will carry most of its cues similar to European version but the side profile of Indian crossover will not receive diamond cut alloy wheel. Inside the cabin you will find comfort boot space, smartplay touchscreen infotainment system, automatic air conditioner rear AC vents, dual front airbags, ABS+EBD.